Making its much-anticipated jump across the pond (to debut in the UK exclusively on our online shelves) skin care doesn’t get more ‘cult’ than U.S. brand Kate Somerville – and this innovative treatment features revolutionary ‘Telo-5™ Technology’. Based on Nobel Prize-winning medical research, this technology utilises the youth-enhancing benefits of prolonging the life of telomeres (which allow cells to divide without losing genetic information) to combat wrinkles, dryness and sagging. Visibly firming, tightening and toning, this will stop ageing in its tracks. 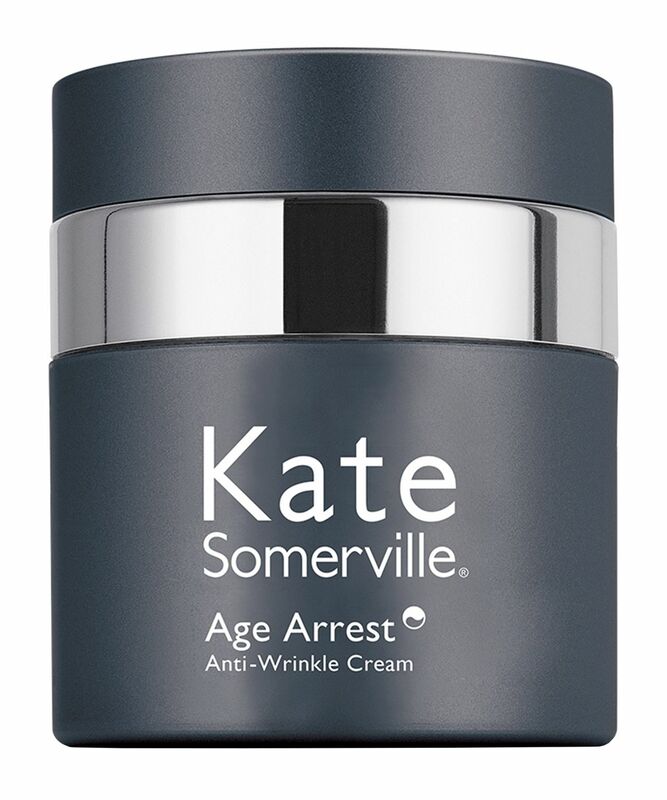 Stopping signs of ageing in their tracks, Kate Somerville’s Age Arrest Anti-Wrinkle Cream is designed to comprehensively combat signs of ageing, rejuvenating skin to help it appear more youthful. The moisturiser stars Telo-5™ Technology, which is based on Nobel Prize-winning medical research into the benefits of prolonging the life of telomeres – which allow cells to divide without losing genetic information. As we age, skin cell telomeres shorten and critical youth information is lost – but this advanced formula helps to prolong their lifespan, effectively reducing the appearance of fine lines and wrinkles. Alongside this, age-defying peptides help to reduce the degradation of collagen to lift skin, luminaria kelp extract works with skin’s natural hyaluronic acid to plump skin and diminish wrinkles further, while a proprietary blend of sea whip extract and algae plasma provide immediate – and long-lasting – soothing for sensitive skin. Use twice daily, AM and PM. Apply a thin, even layer to face and neck. 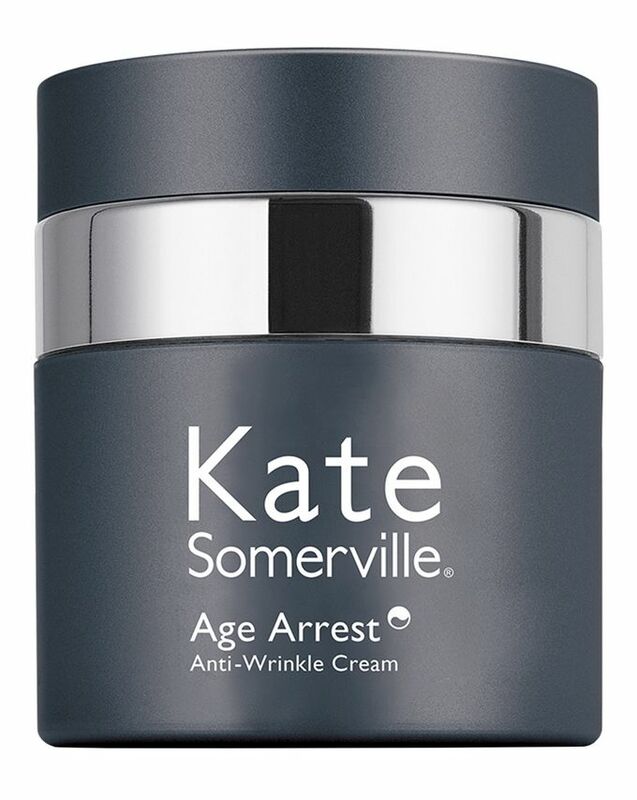 Use alone or layer over your favourite Kate Somerville treatment serum. Remove over-cap by gently lifting up. Place both thumbs evenly apart on white dispensing pump. Press down evenly several times to create a vacuum until product is dispensed. I have pretty sensitive skin and I found that the cream did not bother my face which was a POSITIVE. What I didn't like was that the cream left my face a bit oily while it absorbed & I felt like it hasn't made any differences to my wrinkles. This has a creamy texture and applies easily. It takes a little while to absorb but that was fine. I have not found it has had any affect at all on my fine lines/wrinkles. I used it in conjunction with the Wrinkle Warrior. Not a brand I will purchase again.